A MAROM Creek man targeted by a mail-based "scratchie scam" has warned others to be on the lookout for unsolicited brochures and lottery tickets promising thousands of dollars in winnings. Retired advertising professional Campbell Cain knew something was fishy the moment he opened the Malaysian-stamped air mail last month. Two tickets inside featured inviting silver scratch-off boxes, alongside a colourful brochure with stock images of kangaroos, theme parks and koalas - spruiking "Baby Moon Holiday", a travel company claiming to offer holiday packages to Southeast Asia. 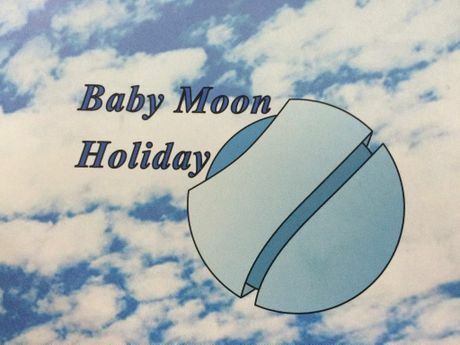 "Baby Moon Holiday is proud to bring you a new level of tourism," the brochure trumpeted. "Whether you seek an adventure with the kids, a romantic getaway or a fun-filled trip with friends we at Baby Moon Holiday have you covered." Mr Cain discovered he had "won" a second prize of US$165,000 after scratching off one of the tickets. The other ticket had no prize - lending an aura of legitimacy to the winning ticket. 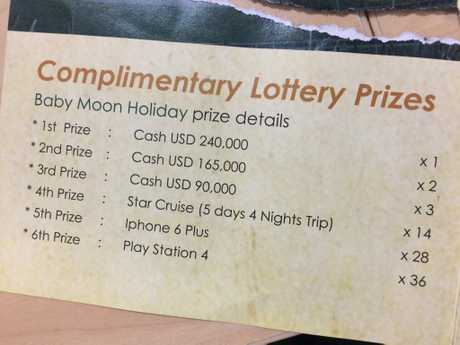 Other "prizes" included $240,000 cash for first prize, a five-night cruise, and 28 iPhones. Winners were asked to contact the Kuala Lumpur-based company which listed its address, phone number and website. A hint of the scam to come was a condition that "winners may be obliged to submit taxes or any other mandatory charges as a result of the award". Mr Cain said he was targeted by a similar company two years ago in Melbourne called "Lotus Life", with the same double ticket (one winning) format. Out of curiosity he decided to contact them. He sent an email and was taken through an elaborate trust-building exercise including him sending scans of his "winning" ticket and answering various personal questions. "They said 'congratulations, you're a lucky winner', and even though I hadn't applied they said they would honour the prize," he said. "(But) we never got to the point where that to claim my 'prize' I would have had to send money. "After four or five phone calls I'd had enough. "If it looks too good to be true, it is. "I really don't know why the Malaysian government doesn't jump on this, because it's so easy to see through it." Mr Cain said he was amazed at the extent of the scam and how much money had been spent on it. "They're spending a bit of money on printing, that's an eight-page flier, full colour, and printing scratch and win tickets is a separate printing process. You're talking about two separate print runs for those." Australians lost almost $300,000 last year in similar scratchie scams and are on track to lose a similar amount again this year, according to the Australian Competition and Consumer Commission's Scamwatch website. Last month saw a spike in scam victims, with 72 reports totalling $92,000 in losses. A typical scratchie scam package includes "professional-looking brochures, which are designed to trick you into thinking the competition is legitimate". "It may include contact details for a business overseas and a web address for a fraudulent but professional-looking website. "The up-front payment requested can be as high as a few thousand dollars. "If you pay, you will not receive the prize, and you will never see your money again. If you provide your personal details, they may be used for further fraudulent activity such as identity crime." ORIGINAL STORY: IMAGINE receiving a winning scratchie ticket in the mail promising you $165,000 in riches and the chance to have a glorious holiday on tropical beaches overseas. Sound too good to be true? Unfortunately, it is. 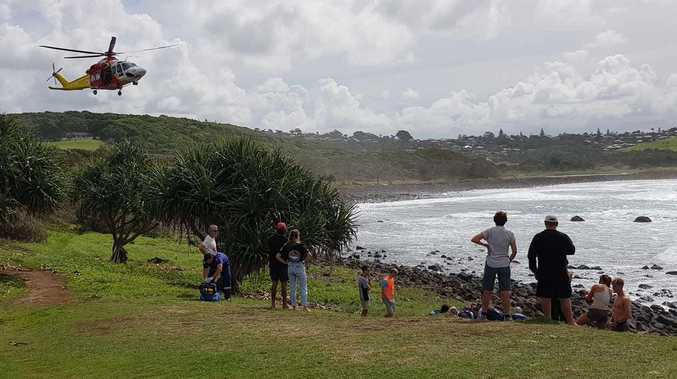 A Marom Creek man has provided The Northern Star with evidence of one such scam from a Malaysian-based travel company "Baby Moon" holiday. Mr Cain said he was concerned that people with a less critical eye than him might get taken in. The elaborate package arrived in Mr Cain's mail last month and it included a colourful brochure promoting the purported travel company and two scratch and win tickets - one which revealed a "second prize" of $165,000. A condition of the promised winnings was an obligation to "submit taxes or any other mandatory charges as a result of the award". The Australian consumer watchdog has warned against such scams, advising people to be suspicious of random winnings and never send any money to claim prizes. But it appears the scammers are still winning, with losses to the scam reaching $260,000 this year. "If it looks too good to be true, it is," Mr Cain said.